Overseas manufacturing devalued the ballpoint. Typewriters – and then computers – supplanted handwriting. What a terrible climate if you’re selling pens! But what if you aren’t really selling pens? What if you’re selling class? Fame? The slow elegance of a simpler time? The unmistakeable cachet of a top-of-the-line writing instrument? Something that calls for luxury marketing? Well, then you’d raise your prices, and put them everywhere. Up until the ‘90s a beautiful pen was something to acquire once or twice in a lifetime – maybe your graduation from college, or after retiring from 30 years of faithful service to an employer. These gifts remained popular, even after the rise of technology-aided writing – but often, the gracious nod of thanks would be more dutiful than delighted. Kids these days – they just don’t appreciate a really nice pen! This means that companies like Montblanc had to either take their luxury marketing in a creative new direction, or watch their sales figures plummet. Montblanc, one of the world’s preeminent makers of beautiful writing tools, decided that the first option was the way to go… their favorite product needed a facelift! Product – They started by choosing a very particular deep shade of red for the base of every Montblanc pen casing. Then they added a serial number to the top metal ring of each and every pen they made. This made it very clear whether you had a real Montblanc, or some cheap knock-off. Price – They upped the ante a little on their pricing. The pen had to be expensive, but still within the reach of their target market: professionals, and people who want to be seen as professionals. This means that a Montblanc pen had to be an investment; not like a new car, but definitely like something luxurious that you buy just because. 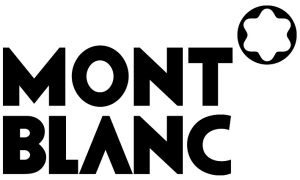 Place – Montblanc established a massive distribution network, spanning the globe and backed up by a network of repair shops and licensed retailers. None of those licensees are allowed to sell Montblanc pens without signing a very firm agreement about partnering with a repair shop and offering extensive warranties. Promotion – Montblanc’s most recent luxury marketing campaigns are infused with the rose-tinted nostalgia of the golden age of cinema. Their website is a thing of beauty, calling on the majesty and glamor of old Hollywood to impart casual elegance to their lines of beautiful pens (remember, you can only get the cachet of glamorous divas and misunderstood, brooding geniuses if you have the real thing – no substitute will do!). All of these elements combined very effectively for Montblanc, allowing them to not only revitalize interest in their dominant product, but also introduce new lines at even higher price points to satisfy the demand for exclusivity. Montblanc has become a gigantic, sprawling international brand. They have specialty boutiques in more than 70 countries, and many more licensed retailers in department and timepiece stores around the globe. Most importantly, Montblanc has happy customers paying up to a thousand dollars for a pen. Entire discussion boards exist for tracking, comparing and generally talking about their products. They are collector’s items, and beautiful, sought after gifts. By making their products expensive, luxurious, star-struck and just a little mysterious (why do you need an expensive pen? If you don’t know, you don’t deserve one! ), but also relatively easy to acquire, Montblanc is the brand that not everyone can have, but you can! Montblanc’s parent company had their highest profits ever in 2010, and that’s thanks in large part to their signature pen collections. This is a far cry from a few years ago, when a bright-eyed university graduate would look up painfully and squeeze out a “Thanks, Grandma!” while inwardly just wishing they could have had the cash. That gift is now one that will bestow benefits for years to come, highlighting the success, glamor and gravitas of the owner. It might even make a collector out of them, guaranteeing a lifetime of high-value purchases! Nostalgia is a powerful selling point, but it isn’t the only way you can apply this idea to raising your own prices. Remember, Montblanc tweaked all of the 4 Ps to create their new campaign. Everything, the price (high), product (unique, authentic, branded), place (everywhere, but with important, quality-oriented restrictions) and promotion (the men and women who championed a life of expensive luxury and deep creativity and talent) worked together to appeal to the desires and self-image of their target market. They did this by appealing to the level just above their customer on Abraham Maslow’s hierarchy of needs. A Montblanc pen owner is well entrenched and not lacking for love or belonging – the pen speaks to their need for the esteem of others, and the actualization of their own ideal self. Whatever attributes and qualities a user of your product or service idealizes, and speaks to their core values and deepest conception of self, can be worked into your messaging. When you offer someone the opportunity to notch up a level, you can easily justify a higher price, and they can easily why they’re happy to pay. So, where is your target customer in the Hierarchy of Needs? If they’ve achieved Level 2 (safety) then messaging that speaks to family and love and intimacy will hit them hard. If they’re at Level 3 and have the love and belonging that makes us happy, then speaking to luxury, confidence and achievement will go a long way to making your high-end product or service look like a great investment. How do you know which level they’re at? Well you’ve figured out who your ONE person is, right? Then you can easily determine which elements they’ve achieved in their life, and which they’re still working towards. Then all you need to do is create an offer (combination of Product, Place, Price and Promotion) that will get them there. Not easy, but definitely worth it! Getting from one level to the next in the hierarchy is tremendously satisfying for all of us, and if you can provide the opportunity to do that for your customer, your premium prices will be nothing compared to the feelings of joy and satisfaction they will get in exchange. Viktor Frankl talks about that in “Man’s Search for Meaning” — concentration camp survivors who were denied physiological needs (food/water) but he saw examples of morality, acceptance, problem solving, etc. I think Frankl’s observations on the “search for meaning” have huge implications re marketing. I think this article is a great example of it — when we find our own “meaning” of life — that which defines us — we often want the outward symbols of it. Whether it’s a Bic or a Mont Blanc. Linda, you make a really good point about the multiple simultaneously levels. 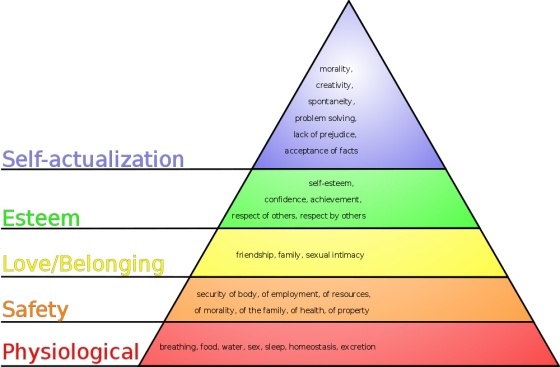 I see Maslow’s hierarchy as a simplified model to explain things to people who probably haven’t encountered much like it before. Tony Robbins’ “6 Human Needs” is helpful in that he says all 6 are important but that each of us “prioritizes” them differently. Personally, I take it a bit further and deeper than both of those guys, by suggesting that for every subject we can think of, each one of us has a desire about that subject, and a certain degree of realizing it. Once realized, the desire on that subject will shift. That was way too short to be a tangent. 😉 “everyone always wants different stuff, and it’s always changing.” — true. Probably because how we define ourselves and the value we assign to things keeps changing, too. Gah – sorry Megan. I clicked — you look nothing like Danny. Teaches me to look at who wrote a post… lol. Hi Linda, – No worries – I actually forgot that I’d written this post myself – Danny had to remind me to come check out the comments! I think you’re absolutely right that people have needs and desires that fall into different levels, but I also think that the model does work on a basic level. There are exceptions to the “rule” of course, but at our deep-down, “need-to-stay-alive” level, one stack of the pyramid generally follows the other. I think Jason is right too – it’s a really useful tool to explain motivation to someone! I’ll be looking up both Viktor Frankl and finally getting around to reading Tony Robbins! Thanks for dropping the note! Yeah, I just rocked “bastion” in a blog comment. REP HARD. Megan! Fantastic post! I’m so thrilled to see you sharing awesomeness like this on FPM. I am a HUGE fan of luxury brands and prestige of all kinds. My role-models (rapper-moguls) are all singing the praises of their Audemars, Louis V, G6 private jets, etc. – and you really broke down how/why that’s possible with your Montblanc example. I know this article is gonna help a lot of entrepreneurs. Rock on and ryze up! I’m on the opposite end of the spectrum – I generally detest luxury brands and goods – but I I do really admire what they do with their marketing. I hope folks find the article useful – thanks for saying so! I’m a Ryze Online fan myself – your posts are generally big day-interrupters for me. Hmm, why do I detest luxury brands? I’d never question anyone’s desire or right to get in on the big-name, luxury stuff, I can see the appeal and the value people get from it – it’s just not for me! I feel more embarrassed to be using something really expensive than anything else. And yeah, bastion is hard to beat bad-assery-wise. Well said, miss. Well said. Got this on my phone on the train. Really inspired by it and it got me thinking. I like how youve covered the high value gear and progressed into deeper, more fundamental life energies and values. Where are our customers and what do they expect? What are we tuning into when we make a product.. what are we projecting? All this is going to have an impact on what we attract. This was a highly progressive post, I like the direction where this is going. The next stage is to think : how can customers be supported on all levels? Can we speak to all types of customers? Can we provide for them all.. help them through the levels? There’s something big stirring here, congruent with the rumbling shfits of our times. i am very curious to see how this progress’s! I very much applaud the higher principled thinking, and can estimate that the alignment of such higher principled thinking with developments of Alexanders Osterwalders closing thoughts in business model generation leads to new means of business practice, assessment of customers, services, products and other configurations. Integrating modern business models with highly principled thinking patterns. I have left a few pictures here, I share them in order to crystalise the thoughts and for further thinking and developments in the domain of business dealings with customers, and business models which, infused with higher principled models and systems, create new door ways of possibility for the worlds emerging trends and times. For the innovator looking go a little further, and maybe even dip their toe to explore another way of thinking, it might be of interest to consider parrelels and convergences deemed between the 7 Chakras and Maslow and strangely enough even Deepak Chopras new comptuer game called leela. Wow. That’s a lot to consider! I don’t have much in the way of knowledge or understanding about Chakra’s and so forth, but those diagrams are fascinating. What an interesting study that would be – the convergence between marketing and vital energies. The idea almost feels a little taboo – as if the two were, or should be mutually exclusive – although we all know they’re not. Thank you for the detailed comment – I think you’ve given us something new and really interesting to think about. As well, there are so many similarities and links between different models: chakras, maslows, musical scales, emotional scales, color spectrums, language use, economic attitudes and more. Your article gets one thinking of how to take any product and build a luxurious brand and following behind it. However, it took me in another direction also. After doing a small bit of research, I found that the Montblanc brand does seem to have a following of collectors. (Check it out on EBay). So what would the profit margin be on one of these pristeen writing instruments? That would depend on what you purchased it for. Has one ever really considered looking for these instruments at yard sales and auctions? Probably not as most shoppers in that marketplace would completely overlook a ballpoint or fountain pen as a big ticket item. Therefore, a person could be able to purchase a Montblanc pen for next to nothing at the right yard sale or local auction and re-sell it online for a decent profit. We all discard items when organizing a family estate auction. Especially small items like writing instruments. Because of your article, you have brought to light a collectible with value that most people would miss. Thanks so much for writing this! There is some interesting speculation. I’m a yard sale enthusiast myself, but have never seen a Montblanc – something to keep an eye out for though! With the release of the “Space Pen” to the general public I think that The Fisher Space Pen Company rivals Montblanc when it comes to keeping quality pens from being obsolete. In the 1960’s Fisher invented a pen that could be used in zero gravity conditions for U.S. Astronauts. Today that make that same technology available to anyone who wants to own a “Space Pen”. I heard that the Russians came up with a much cheaper, easier alternative. Thank you for noticing my message Megan and inspirational feedback. It’s has created numerous reflections in the houses of career and goal interests and really couldn’t have come at a riper time. However the truth of the pudding is in eating it and cake still needs some icing! My message passed through on the whim and winds of inspiration, I was not really thinking when it came out.. The post here was at the back of my mind all day however! Great post! Everyone kind of knows these things, and if your fascinated then only your imagination is the limit. We tune into things like our heart often. Auctions would resonate with that, because there is an element of the past, emotional patterns and history which bubble beneath the surface. There are many reasons why we collect, and one is to *remember*.. to hold on.. to keep that connection close our hearts and within hands grasp. 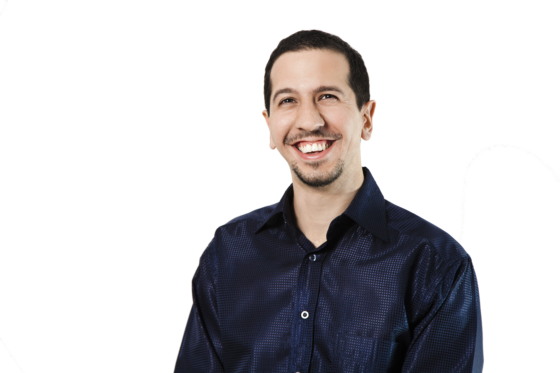 As Jason has emphasised and expanded upon, the integrations blend into a variety of domains which shows a large (might I say endless) ground of possibilities for multiple ventures. It promotes another way of thinking, potential innovations for new hints of research and could be polished up as a meaningful profit margin line. All the while one has the creativity to explore & the freedom to imagine. People can learn anything, it just takes a willing heart and great posts like here, and with such which spark of a cascading interests and connections one can only expect to be amazed. The point about convergence between marketing and vital energies makes for an interesting possibility. I am in the means of developing such correspondences and think this could make for interesting progressions of discussion. There is hints of taboo, yet the fact remains that the leading business books of this century embodies new paradigms that encompass principles of congruence and similarity.. symmetry and architectural patterns.. with such strength of frame and concordance .. one only has to fill in the gaps. Whether it is the evidence that the future is indeed fusion, made possible through universal integrations and revolutions of today’s science and technology… its probable that the end equation reaches something that is progressive and everything begins with a thought. Thoughts of these kind of ideas have whisked around for a few months now, and I am in gratitude for your confidence and helping to generate the right environment for such ideas to become elucidated and closer to something tangible. All of this kind of makes me think of Jitterbug Perfume, by Tom Robbins – have you read it? If not – you really might enjoy it. Actually, it’s a FANTASTIC book. Tom Robbins weaves gripping stories and interesting spiritual concepts together so well. Mad props on the rec, Megan, seconded. Looks like a great book, thanks for the tip. I do wish though that you had covered a bit more ground on the pricing aspect…in luxury marketing, knowing WHEN/HOW to talk price is everything. I’m glad you found the case study useful! You’re right, knowing how to introduce the price IS a really important aspect. I don’t know if you saw Danny’s interview with Phil Telio? It’s got some fantastic information about pricing. Thanks for sending me to the link Megan…not exactly what I was looking for but there’s a truckload of pricing nuance on that interview. A half hour well spent! Hopefully, my questioned will be answered in one of the videos being planned by danny in the “Ask Me Marketing” series. Yeah, just came up with that! What was your question, Avinash? Hey Avinash, you definitely don’t want to wait until the checkout page to share the price; you’ve got to share the price along with the cost-justification-guarantee “part” of your messaging. This might be too complex for us to figure out in the comments of a post – want to jump on the phone? Mont-Blanc. The importance of creativity.The growing need toward something original. Felt collectively as benefit’s, and a reflection of our spiritual need, that our work’s are a mean’s of contribution, as personalized, individualized means. Synergy. Passion. Adventure. Reading the entire engaging with the target audience and creatively imagining it in terms of .. the future leads me to think – it’s about integration.. wholism.. congruence with new ideal’s in spirituality– the internet, It’s a new paradigm all together. The collective wisdom, suffering’s, love’s, desire’s and wants. Yet why is it that we would ever put this infront of the thing’s that really come first in our life. I want to begin with family. If it’s not putting, at least in my experience the welfare of my family first. How can we dismiss that kind of connection. I want to wake up and see the people I see – that their families and doing well. Cuz that’s what really matter’s.Saying that means integrity. Can you really shut it off. and pretend it doesnt happnen like it wont resonate later in our life? No one in their future really want’s to have spent more time doing.. thing’s which arent really affiliated to that. Their’s no planner. No compass either. What do we REALLY want. What’s really making the best use of our time.. and how.. can we work together in order to make it happen. What’s your yearning,. it’s probably something very pure. This isnt about me its about US. It was the crysis of seeing that.. in my father’s eyes – thing’s really arent working, and you know – In some way’s it hurts. He’s been through the bloody war, going through everything extra is unnecessary. it’s not going to work for the baby that’s coming and everything else. And all the stuff that add’s up and make’s sense on top of it. Is it really going to work? I mean carrying on like it was. This has been a long.. and moving email based on alot of raw – instinctual feelings. I want to just keep a promise of sharing.. I hope it make’s sense in whatever way it does.